One of the newer spins on social networking is location-based Social Network. There are a few companies such as Foursquare, Yelp and Gowalla that have a long-established stronghold in this area. But Facebook has a tremendous user base and has the potential to overtake it’s competitors if they do it right. And last week, they launched their version of location-based social networking called Facebook Places. 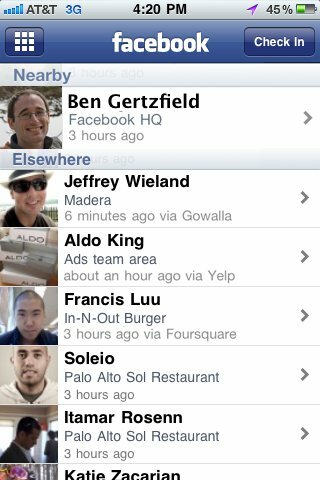 Currently, Places is only supported on the iPhone, or any other touchscreen mobile device that can access touch.facebook.com. Sorry all non-touch screen phones need to wait until FB releases a version to support you. 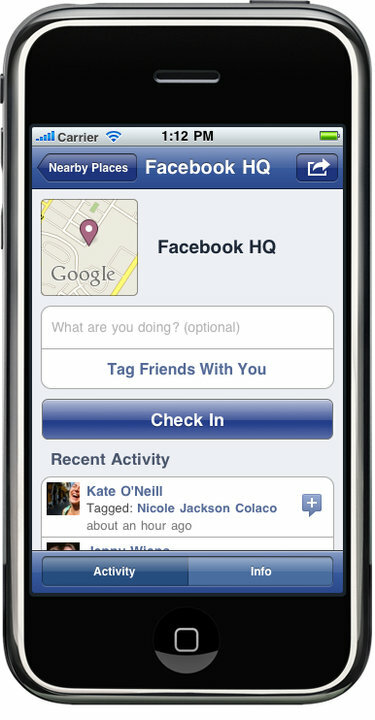 Places will appear on the main menu of the Facebook iPhone app. if you are using touch.facebook.com, just tap the PLACES tab. Facebook Places will also revolve around check-ins. What’s different is that you most likely already have a large friend following on Facebook, so you don’t have to re-establish those friends in order to check-in. And thankfully, it looks like Facebook may have learned from their previous mishaps with security. You are in complete control of what you share the and the people you share it with. When a friend tags you through Places, you are given the choice as to whether or not your friends can check you into places. You can even disable this feature completely. Unfortunately all of these security settings are un-configured when you start using Places — you must manually configure them yourself. How Can The Agent Leverage This? Facebook has always been such a great way for an Agent to make contact with people. Facebook is a very efficient way to gather a following based on the community. Build a Facebook following built on a Fan Page or targeted posts and you will begin to have people interested in you for your in depth local knowledge. Now let people follow you around via community places and even your listings. Rather than trying to destroy it’s competition, Facebook appears to be cooperating and even encouraging 2-way communication with the leaders. Through their Graph API, they are enabling Foursquare, Yelp and others to share check-ins in both directions. All of these features are still in beta with select partners. Time will tell if the information-sharing pays off. I suppose Facebook is banking on making location-based Social Networking more popular by making it a native feature within Facebook, as well as cooperating with those who invented it in the first place. Time will tell if this effort pays off. These services were no where nearly as popular as Facebook. Maybe that will change now that Facebook has entered the game and is providing 2-way check-ins with the other players in the market. Previous postWhats does it take for an Agent to succeed? I have used Foursquare for the past 2 months maybe, and it is cool getting the free specials offered by the businesses, but as you said it is new and not as many “friends” on. I look forward to seeing how they work together on this. I also suggest that all the owners of “brick and morter” businesses get involved and create “specials” on foursquare. It is a good tool to brand and create loyalty to you establishment.